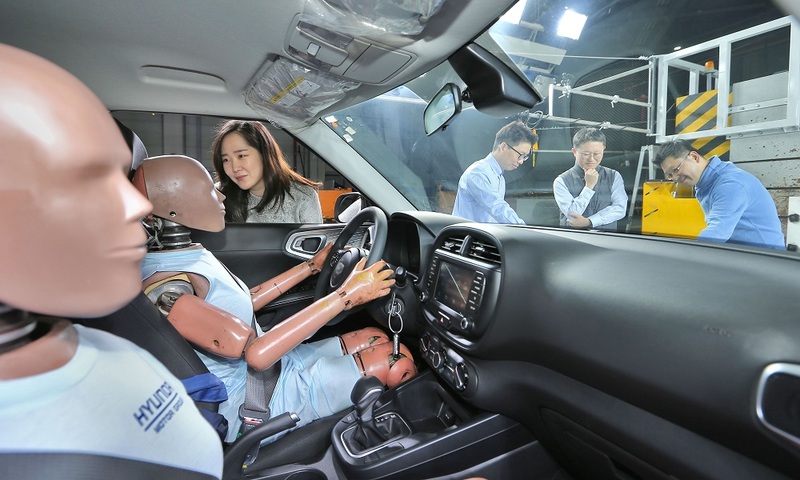 Hyundai announced the development and future commercialization of the world’s first multi-collision airbag system that significantly improves airbag performance in multi-collision accidents. Multi-collision accidents are those in which the primary impact is followed by collisions with secondary objects, such as trees, electrical posts or other vehicles, which occurs in three out of every 10 accidents. Hyundai analyzed multi-collision scenarios in multilateral ways to improve airbag performance and precision in secondary collisions. Hyundai will implement the system in new Hyundai and Kia vehicles in the future.